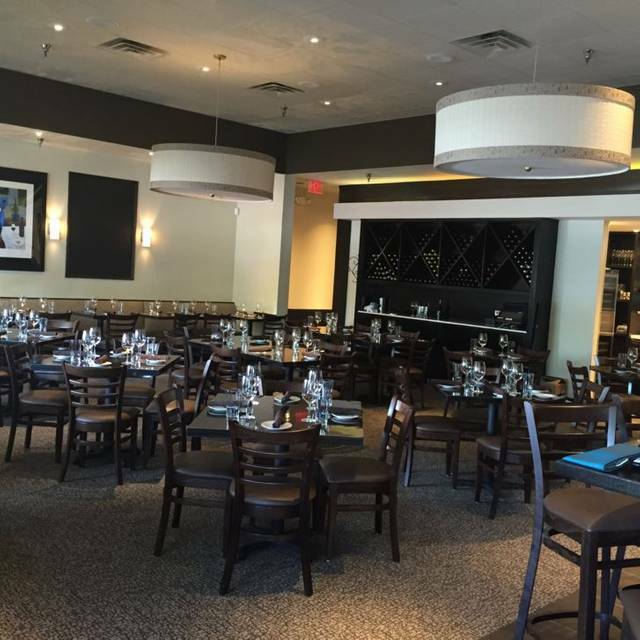 You must make reservations at least 5 minutes in advance of the time at Sallio Bistro. Sallio Bistro is the newest concept by one of Dallas' favorite chefs. Chef Larry Williams, already known to be "worth his salt," brings a pinch of intrigue to Preston Hollow with a refreshing, Mediterranean-inspired menu. With a comprehensive, impressive wine and cocktail list, quiet, relaxing environment, and open kitchen, enjoy the finest in Mediterranean dining at Sallio - your neighborhood Bistro. the onion soup and caprese salad were outstanding as was the pork tenderloin. The specials board was heavy on seafood so would have liked more variety. Service ended up outstanding but started out rocky. Everyone pitches in but good to know who will make sure it all happens. The waiter we eventually latched onto (oldest child) was super knowledgeable and responsive. We have brought lots of different friends here and its always excellent and easy to linger and enjoy the wine, food and friends. This is a great “neighborhood” restaurant with an excellent menu!! The bussells appetizer is unbelievable! Service is fantastic, small place with a great “feel”. Great experience for all! We celebrated our daughter’s graduation and had a great time. Great food, great service and a great experience. I've always enjoyed Sallio, This time the Brussel Sprouts were overly salty. The waitress said they do not use salt and it must have been the Parmesan. Just was a bit disappointed this time. Will go back for sure. It was really cold. They need a partition by the door to block the cold air every time the door is opened. a real plus in the past. It will be a while before/if we come back. We've been to Sallio Bistro a few times and will go back. Food is reliable; service is usually good. We've been there when it's been very noisy; however, the last time it was not. The only thing that puzzles me consistently about the restaurant is that they seem to want to differentiate themselves on their use of various 'gourmet' salts and how these different salts are meant to accent different dishes. It seems a little gimmicky to me; plus, since the food is always well-seasoned, we are not apt to want to add one of the few seasonings that is not healthy. Other than this small gripe, we do like the restaurant. Only issue was slow service to order dinner. Drinks were fine but we were looking for server to order for 5-10 mins. Food was very good and we heard to talk at a table for 6. Fabulous Meal and great service!! Sallio is a rare find in Dallas. A family-run bistro - an actual bistro, not an faux attempt at one - that has a laser-like focus on ensuring your experience with them is comfortable and comforting. Six of us dined Sun night (half price wine night). Tuna tartare may be best ever. And fried brussels sprout leaves excellent too. We live nearby so this is becoming our neighborhood go to spot. Liver and onions excellent (and hard to find). Trout Almandine also very good. Amazing food!!! The flavored salts are a wonderful surprise and addition to the already delicious food!! As always, food was excellent, service superb and it was a totally enjoyable evening. We are so fortunate to have this lovely bistro in the neighborhood! Kevin and Aubrey were great as always. It's a pleasure to dine at Sallio's. The food is delicious. The portions are generous. The service is warm and friendly. Nice place to eat a great meal. Best neighborhood place ever! Great for all occasions. Appetizers are fabulous. I love the trout & my husband said the short ribs were great. All are offered with salt pairings - even vanilla salt for the ice cream. Delicious food!! WONDERFUL service!!!! She even let us hang out and chat after they had closed for lunch! Didn't realize they closed at 2:00 and reopened later for dinner. Our extremely polite waitperson made no fuss about our lingering! We apologized for our ignorance!! ;-) THANK YOU, Sallio! We will certainly be back soon! Our favorite, it's our "neighborhood gem" but should be destination dining. Specials are so good we rarely get to the main menu which is also excellent. Someone really knows how to cook fish here, it's almost moist, tender and just peels off the skin. Service is gracious, attentive and not intrusive. Highly recommend Sallio Bistro, thanks, great job!!! 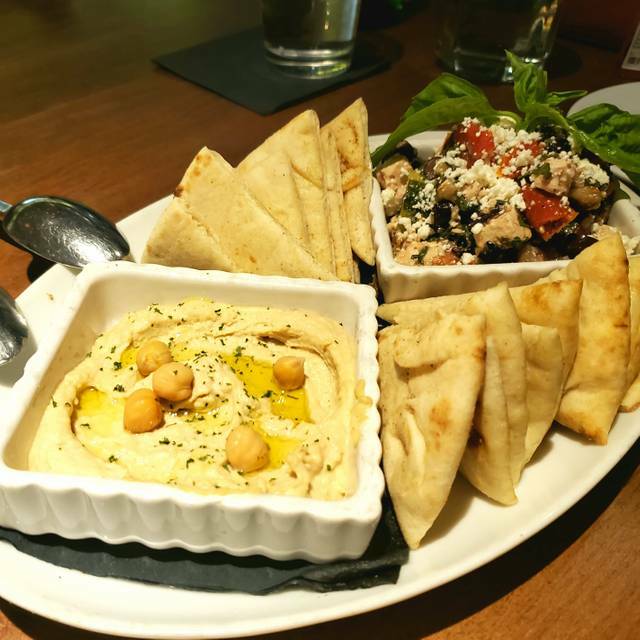 Sallio Bistro is a Great neighborhood joint to go relax and reconnect with the ones you love!!!! This was our second visit to Sallio Bistro and I think it will become a regular dining spot for us. The food never disappoints and the suggested flavored salts that accompany each dish take it to another level. We started with the ahi tuna crudo and calimari which are absolutely delicious. I had a shrimp pasta and my husband had the clams appetizer with pasta that was added at their suggestion ... delicious. Our friends split a generous mixed grill that was one of the daily specials. For dessert, we splurged on a gorgeous baklava with Henry's pistachio ice cream. Next time I'm hoping to catch them spinning the sugar web that crowns the dessert. You have to see it to appreciate it. All in all, a lovely dining experience that I highly recommend. Thank you so much for taking the time to give us such a considerate review. I'm so glad to see your party was able to take advantage of the ability to customise your experience while visiting us and look forward to ensuring you get to check out the hand spinning of the sugar crown next time you're in. Our open kitchen is there for that experience precisely. We look forward to seeing you again next time. Amazing food, delicious salt pairings, knowledgeable & attentive service, willingness to customize anything & everything. Love this place! Sue, I'm ellated you had such a positive experience playing with our salts and menu to make your experience truly your own. We look forward to having you back to try out a few more of our new infusions. Nice spot for a regular meal out. Wouldn’t recommend for a special occasion. The ambience is very restful and the food was excellent. I couldn’t ask for better service. Frank, your ability to articulate your experience so efficiently is phenomenal. I'm so thrilled you had such a positive experience and look forward to welcoming you back to your neighbourhood bistro any time. We loved this place two years ago. Obviously a change along the way...new chef? Change in food quality? Not sure but significantly different and lesser than our previous visit. We drove 80 miles to share Valentines with our girls and this was such a let down. Sad to say, based on this experience, we won’t be back. Filet came out raw, Brussel sprouts were boring and under-seasoned. Bolognese was underwhelming and sauce sat on top of bland noodles. Just so disappointing. This used to be our “go to” place, but not any more. The service was very slow even though the restaurant was not full on a Friday night. Appetizers were ok but all four of our,sin courses were terrible. We left most of our food on our plates but our server did not notice... or maybe was afraid to ask. Very disappointed in the entire experience. As I said, it used to be a favorite. Great Service, food is always fresh and healthy. Very relaxing and their focus is on their Customers enjoying the experience. We added them to our 'Go to' List for a place to enjoy dining out. Valentine’s Day dinner so the restaurant was probably more busy than normal. Food is delicious, friendly staff, neighborhood gem of a restaurant. We had a great Valentine's Day meal . The staff always makes sure that we are comfortable and having a great time. This is our neighborhood gem! we were given on Valentines Day and our first visit. We had early reservations at 530. We were given a small two top table when there were several larger tables available. I asked for a larger table, but was told they were totally booked and this was it. There are three tables this size in the whole restaurant. My back was to the whole room and not able to see the board specials. Over the hour and 10 minutes we were there we saw parties of two were seated at 4 tops. If I had not specifically asked for a bigger table this would have been different. I understand they were booked, but we had reservations too. Seems like they wanted to seat the least favorable tables early. The food was great though. Service was nice too. Not sure I’ll go back because comfort is important too. This neighborhood gem has become our favorite restaurant. It's near us in Lake Forest and the food, service, and ambiance are always consistent and predictable. Sallio has a great menu but the daily specials are so good, we seem to always have one of those entrees. Hoping to get to the menu as it all sounds so delicious. A special differentiator is specialty salts that accompany every dish as is specifically prepared for that dish. Delightful. Service is attentive without hovering and great wine selection. Again, our favorite! WE had another great dinner for 7 of us for my mother’s birthday. Perfect service by Anna. The food was very, very good. 1/2 off bottles of wine on Sunday was a bonus that made the event even better! Seriously, it was a perfect delivery for a special occasion. WE are going back next Sunday - just my wife and I! I eat here at lease every other month with friends or on special occasions. The food is always excellent. Try the butter cake. It was great. Everything was very good. Food has always been good at Salio - the service was lacking though. We were first taken by the bartender who took drink orders and went over the menu. We ordered appetizers next. After that - even though the bartender/waitperson was right there - they NEVER looked over at our table the rest of the night. We had to get the front hostess/owner and then realized our appetizers were never ordered. The owner took care of us some but the final check came 10 minutes after dessert was served and only when I asked for it. We weren't in a big hurry so there was no major issue - just a lack of service by the bartender! Food was good but there will be issues if the service continues to be marginal! A wonderful experience from start to finish. My wife and I shared a dish and it was plenty. The salmon was cooked perfectly, all the greens were garden fresh and the desert was a wonderful indulgence. A great place for a relaxing quiet dinner. Pleasant staff made us feel at home and welcomed. Seafood and/or pasta were had by all at our table. Fish was fresh and delicious. Pasta was done just right. Will become a regular go to for our family. Thumbs up. We enjoyed our meal very much. I overheard our waiter say they had two waiters out that evening, which would explain why the service was poor. Our poor waiter was very nice but he had too many tables to deal with on a night that every table was filled. Our bottle of champagne was left on the table to get warm, no ice bucket provided. We never did get any salt to put on our food. It took an hour to get our bread, which arrived as three very small slices of pre-toasted baguette. But our hearts of palm salad was delicious, and my salmon, and my husbands shrimp with pasta were also delicious, although in need of some salt. Portions are very generous. We will definitely try this place again, hopefully they will be fully staffed and the service will be better. I cannot say enough nice things about Sallio’s excellent staff and great food! It is one of my favorite restaurants in Dallas. A neighborhood gem with food that matches, if not surpasses, the “best” restaurants.